Tuticorin is situated in the extreme south-eastern corner of Tamil Nadu state . Tuticorin is the capital of Tuticorin District. 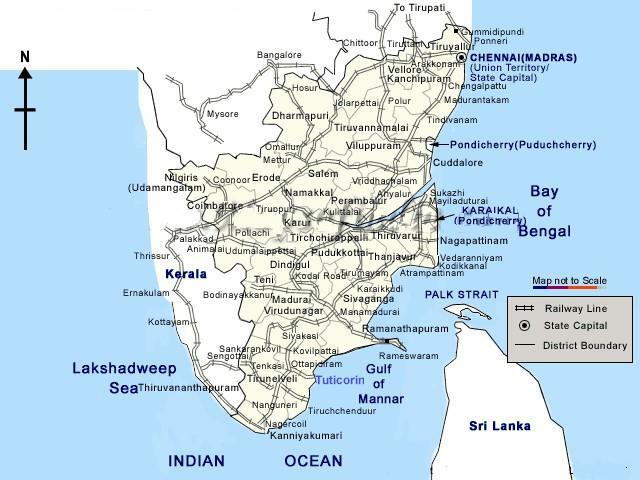 Tuticorin is surrounded on the north by the districts of Tirunelveli, Virudhunagar and Ramanathapuram, on the east and south-east by Gulf of Mannar and on the west and south-west by the district of Tirunelveli.